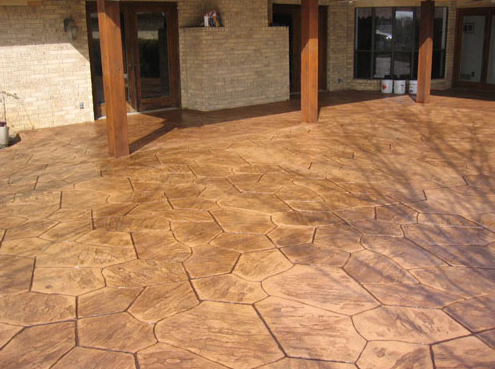 Your stamped concrete needs - our expertise. 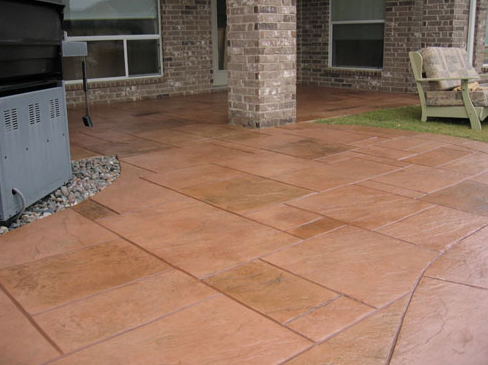 We specialize in decorative patio concrete in Dallas-Fort Worth. Years of experience, call (469) 425-2515. Hi Austin Wilson! Why choose The DFW Fence Doctor for your decorative concrete work? We specialize exclusively in stamped concrete in the Dallas-Fort Worth metroplex and across North Texas! Mobile users call (469) 425-2515 today! Stamping concrete has increased in popularity since the 1960s when it was first introduced to home builders and remodelers. Builders saw it as a new way to satisfy the customer and make their budget work at the same time. inside your home or commercial space. For the ultimate in simplicity, durability and luxury, stamped and decorative concrete is worth considering. On its own, concrete is not an inherently lovable surface material, but when treated, cared for and used in the right location, this liquid stone offers many advantages. Consider a stamped concrete floor for any high traffic area, or rooms where kids and pets are likely to track in mud. Tints may be added when the material is mixed to give the stamped concrete a rich, deeply embedded color, or applied in dry powder or liquid form to the surface after it is poured but before it is set. Once the concrete cures, it can be easily painted or stained like wood. Concrete is not as hard as stone, and unless it is sealed, the surface will slowly wear and produce dust from foot traffic alone. Special sealers are available, but almost any type of paint or polyurethane is suitable if the decorative concrete is dry and clean. Poured concrete's firm, flat, stable surface provides a perfect canvas for artistic treatments such as faux finishing. Concrete can also be stamped, embossed, scored, etched, or saw-cut to simulate other materials, such as stone, slate, tile, or even wood. Old concrete that has a deteriorating surface but it is otherwise in sound condition can be restored with a thin layer of new concrete containing acrylic hardeners. Installing an interior concrete finish floor is a challenge that calls for skilled practitioners who typically are not the same concrete contractors who pour driveways and patios. However, DFW Fence Doctor specializes in all manner of concrete work and outdoor living, including custom staining and stamped concrete. To finish our jobs, we purchase our ground covers and garden fixtures from Dallas Wholesale Nursery at www.dallasplantnursery.com. As evidenced to the left, installers create control joints in concrete floors to minimize cracks. For a unique look, these joints can be made in interesting patterns and each section stained a different color.